How many times have you tried to upload a picture and then you get an error indicating that your picture was not the correct size? With this Picture Resizing tool, you can now fix this easily. PicMoney is an online editing site that has the ability to edit your photo and allow you to download at a high resolution. They offer a free trial as well. flickr.com – Tons of images here! Smashing Magazine is amazing: Go there and type in “free graphics” or “free icons” and you’ll get lots of downloadable packs completely for free! Need to transfer documents to clients and the information is too big for email? Consider DropBox. 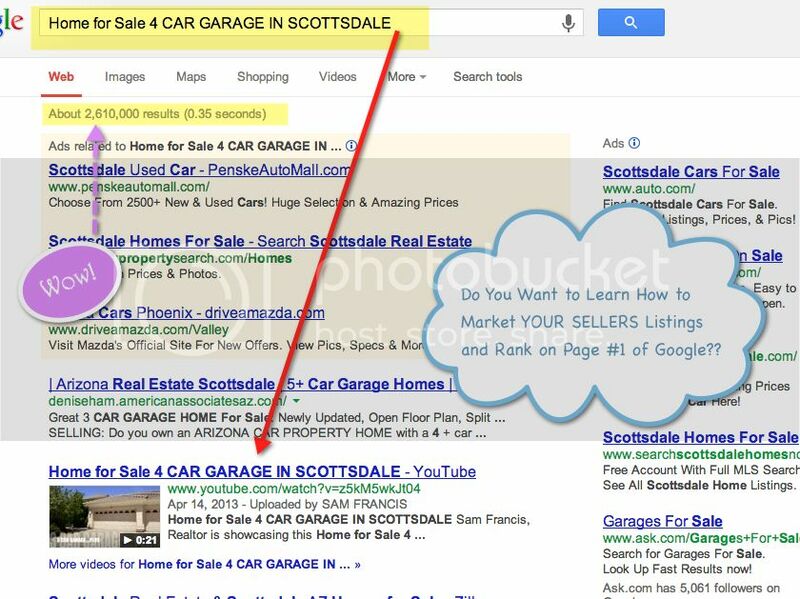 With the Power of Google Marketing Plan, you will learn how to win more listings by showcasing your Online Marketing Skills and Strategies with your potential sellers. Strategy4SuccessNow is the parent company. Take Control of Your Online Marketing Skills by learning the Secrets that will assist you in winning the listings with your potential sellers. The Power of Google Marketing Plan will guide you to success! Karen Jones is a licensed loan originator at AmeriFirst Financial.,Inc. Karen Jones complies with all regulations and rules of all government agencies and regulators including the Real Estate Settlement and Procedures Act. The services provided by Karen Jones are not a condition, nor do they create any obligation for any form of remuneration for any real estate settlement service related to any referral. AmeriFirst Financial, Inc., 1550 E. McKellips Road, Suite 117, Mesa, AZ 85203 (NMLS # 145368). 1-877-276-1974. Copyright 2015. All Rights Reserved. This is not an offer to enter into an agreement. Not all customers will qualify. Information, rates, and programs are subject to change without prior notice. All products are subject to credit and property approval. Not all products are available in all states or for all loan amounts. Other restrictions and limitations apply. AZ: Arizona Mortgage Banker License No. BK0013635; CA: Licensed by The Department of Business Oversight under the California Residential Mortgage Lending Act; CO: Regulated by the Division of Real Estate; WA: Washington Consumer Loan Company License No. CL-145368.